Sting live in Budapest – 2017. Sting’s 57th & 9th World Tour, taking the world by storm! Sting is joined by a 3-piece band including his longtime guitarist, Dominic Miller, Josh Freese (drums) and Rufus Miller (guitar) with special guest Joe Sumner, as well as accordion player, Percy Cardona, who regularly performs with The Last Bandoleros. Gordon Matthew Thomas Sumner – October, 2. 1951. – Great Britain. Born and raised in the shadow of a shipyard in a little town of North of England, but left everything behind to make music and the rest is his history in music of the 20th century. 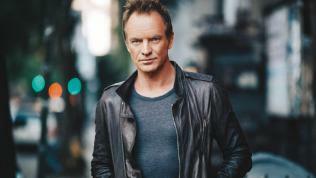 The followers of his fans he is simply Sting – singer, songwriter and actor. He already top the charts with the new wave rock band, namely “The Police” from 1977 to 1986, and also started his solo career in 1985. As a solo musician and a member of The Police has certainly received during his career a bunch of recognitions: 16 Grammy Awards, three Brit Awards, Golden Globe, an Emmy and four nominations for the Academy Award for Best Original Song. He has well deserved his place at Songwriters Hall of Fame – 2002 and the Rock and Roll Hall of Fame as a member of The Police in 2003. Also received CBE from Elizabeth II at Buckingham Palace “Services to Music” and the best way he have celebrated his own music was his songs addressed in such an awesome way at the Kennedy Center Honor at the White House – 2014. Sting was awarded the Polar Music Prize in 2017. There are 5 different seating, Front of Stage and standing tickets.